The Mill Road work site at Marcham is a few miles West of Abingdon, just off the main Road through the village of Marcham. The road is rather a quiet country lane and has a small stream to one side that serves as a tributary to the River Ock. 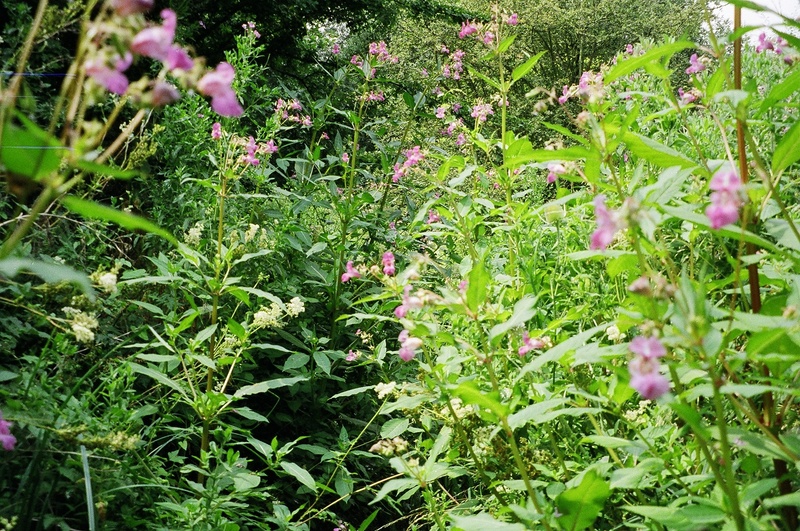 The stream bed is largely dry during the summer months and has become rather infested with the non-native Himalayan Balsam plant in recent years. Abingdon Green Gym visit the site during the summer to remove the Himalayan Balsam as far as possible in an effort to reduce its distribution in the area and to prevent the seeds from travelling downstream and causing further infestation along the Ock towards Abingdon. The meeting point for the Mill Road site is outside Manor Farm along Mill Road where there is a farm shop.